It’s becoming something beyond surreal to see former directors of our own “intelligence” agencies and FBI ratchet up the hateful rhetoric towards our President on an exact parallel trajectory to his meteoric success. How does one explain? We expect it of Whoopie Goldberg…but John Brennan, James Clapper, and James Comey? Surreal seems to be the permanent address the Left desires for us all. Stolen Valor is the term used for self-serving opportunists who’ve never served in the military, who claim the honor for their own personal gain by wearing the colors in public or making false claims…as Senator Blumenthal did a few years back by claiming he saw battle in Vietnam when he was never there. Typical of those with no moral compass, he’s at it again. Just as most Black Americans cringe when the Left steals the valor of their ancestors by lifting the reality and nobility of their heroic struggles, and applying it to the morally destitute assault by LGBT community on Christendom and the traditional family, a Polish Nazi concentration camp survivor is going after Blumenthal for likening Trump’s immigration policy to the “cattle cars of Nazi Germany”. We live in a culture that, in many ways, is built on a network of now accepted, logically interrelated lies that we have deliberately put into law, into private and public life, under the name of “rights.” Or so says Father Schall. Whether he is right or wrong, I will leave to you…which more than likely you will judge with the empaneled jury of your own perceived “rights” rather than a jury duty and conscience-bound to our rule of law. As we learned in C. S. Lewis’ Screwtape Letters, “the believer is the one who can read most anything. The unbeliever dare not allow a line of argument start into his soul, one that would lead him logically to where he refuses to go.” And it is this fact that Father Schall reveals that carries us to the very point of today’s message. When the unbelievers reach critical mass, they come to believe the most fatal lie of all…that they have the power to force their lies onto the believers. They become the book-burners. Those decrying oppression and fascism become the fascist oppressor. And the Valor Thief pointing the “cattle car” finger, is the next one in the long line of history’s tyrant parade, at the ready to fill them again. And it is here my friend, where the rubber of history meets the road, that we get to the harsh reality crux of the biscuit, as they say. There are only so many of us who will refuse to accept the lies, give up our books, and board the cars. The devil is that good at what he does: Most non-believers, as they see it, do not take the Devil seriously. They find him a rather charming, debonair, and witty character. He is suave, sophisticated, and one step ahead of us. In fact, the Father of Lies is so good at what he does, the town I once lived in has thrown four consecutive parties in two months’ time in the public square in his honor, while the believers refuse to venture outside their shelters…for fear of being seen as “political”. This was part of my comment in response to Father Schall’s piece, Too many of us have been conditioned (by the Father of Lies) to see fighting as un-Christian-like behavior. As a result of our reluctance to even battle with words, we are on the brink of our 2nd Civil War. So here we are some 242 years after our forefathers (my 4th great grandfather Andrew included) stood up to Screwtape the first time to conceive our great nation, ready and willing to die. But NOT for the reason you might think. Screwtape would have you believe that greedy-old-us would lay down our lives to pass it all along for the sake of our own posterity…an intention as noble as they come. But ours is much deeper, and the far greater wound to the greatest of the great chess masters. We know the devil’s ultimate play is for us to deny our Creator, the true source of the freedom and rights we cherish. 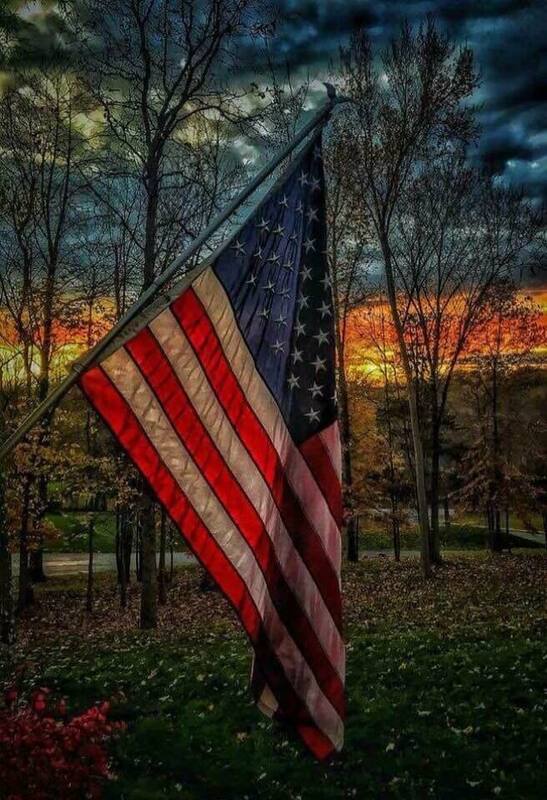 It is the devil’s greatest anguish to know after all his tricks, games, and ploys that it is for Him we lived, and for Him we are prepared to die because: The silver moon knows when the sun goes away, tomorrow she will shine on Independence Day. Most Precious Blood of Life Eternal, price of sinful man’s redemption, by whose saving streams the thirst of souls is quenched, and their stains are washed away, Thou Who dost plead the cause of man before the throne of infinite mercy, from the depths of my heart I adore Thee and desire, as much as lies in my power, to make atonement for the injuries and insults that are constantly offered Thee by mankind, and especially by those who rashly dare to blaspheme Thee. Who will not bless and praise this Blood of infinite value? Whose soul would not be inspired with love for Jesus Who shed It all for us? What would be my fate, had I not been redeemed by this Divine Blood? And what drew Thee from the veins of my Savior even to the last drop? It was love! O boundless love, which has given us this saving balm! O priceless balm, welling from the fount of immeasurable love! Grant that all hearts and tongues may praise Thee, magnify Thee, and give Thee thanks, now and throughout all ages. Amen. This entry was posted in Economy, Entertainment, Politics, Religion, Society, Uncategorized and tagged civil war, evil, Freedom, independence day, july 4th, schall, TCT. Bookmark the permalink.